Crossing the sea to an island is always exciting. There’s always an element of mystery, of the unknown, of leaving behind the normal. At least that’s how I always feel. I love watching the old land vanish behind me. I love watching the new land approaching. I can understand the appeal of sailing, of setting out across the ocean in search of whatever lies beyond the horizon, or perhaps just for the experience of gliding over the water itself, far from land. I’m a poor sailor though, getting seasick and nervous as soon as the sea moves much. As a teenager I did try to learn dinghy sailing, inspired by the stories of Arthur Ransome, but I never progressed very far and somehow the concrete lined and enclosed Marine Lake in Southport didn’t provide much inspiration. I found it hard to make the jump from that municipal pool to the wild, island-dotted, mountain-surrounded lakes I’d read about. 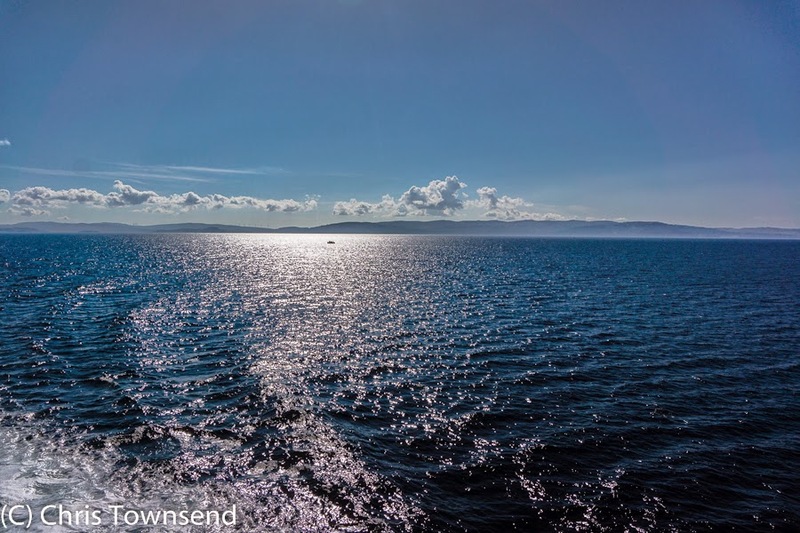 Today, as it has been for many years, my pleasure in being on the sea is found on ferry crossings. I can gain great joy from these journeys, mundane though they are to many. 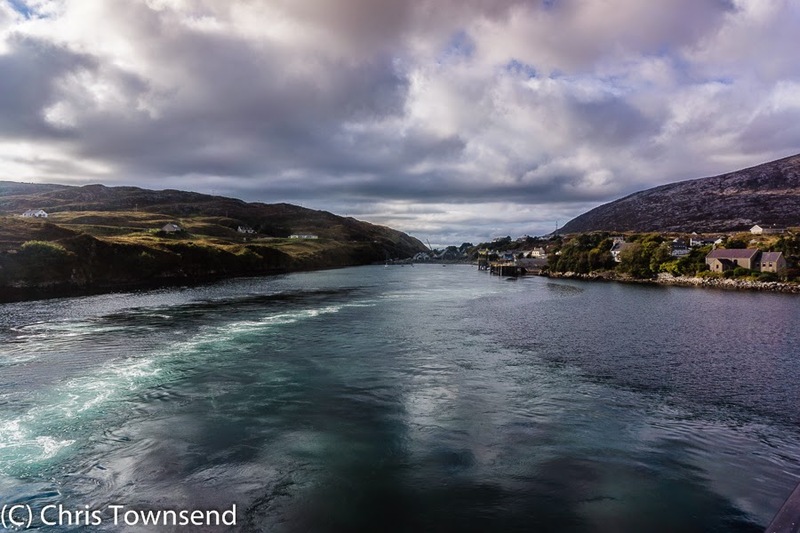 Last week I took the ferry from Uig on the Isle of Skye (I drove to Uig – crossing a bridge really does make Skye feel more like part of the mainland than an island) to Tarbert on the Isle of Harris. The sailing takes just over an hour and a half, long enough for it to feel like a real journey, a real crossing of the sea to a different land. On this occasion the sea was calm and the sky was blue. 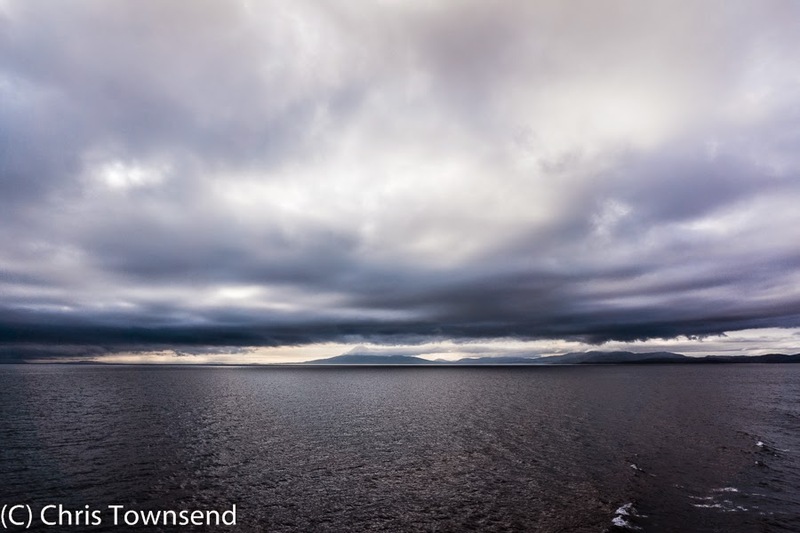 I spent the journey wandering the decks and watching the sea and the sky and the birds – sharp-beaked white gannets flashing down in spear-like dives, flocks of dark guillemots flying low over the waves, wings beating furiously, distant unidentified ducks bobbing on the water, fulmars and gulls soaring and skimming, wings hardly beating. Then as we approached Tarbert a mighty bird appeared, flapping heavily but steadily out over the sea towards Skye. A white-tailed sea eagle, huge and magnificent. Slowly it passed by the ferry, watched by dozens of awestruck eyes. Just gazing at the vastness of the sea and the sky I find calming and contemplative. As they fade into the distance, merging together, they give a perspective to life. This is so much more than our daily lives, this constant surging of waves and clouds, this tremendous natural world. Does anything else really matter? It does of course but for a time it is good to forget the world beyond. 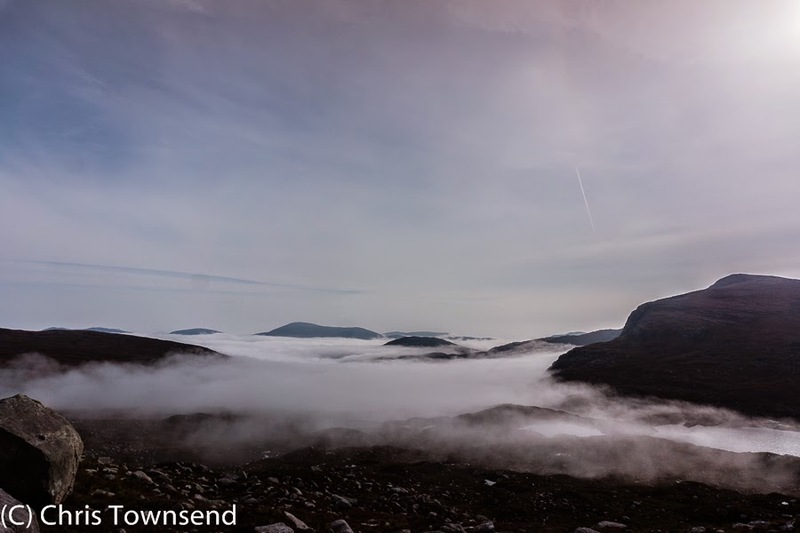 As land approaches, the mountains of Harris rising brown and black and rough into the sky, perspective shifts. Now I am thinking of going ashore, of what awaits. (I told the story of this in my last post). 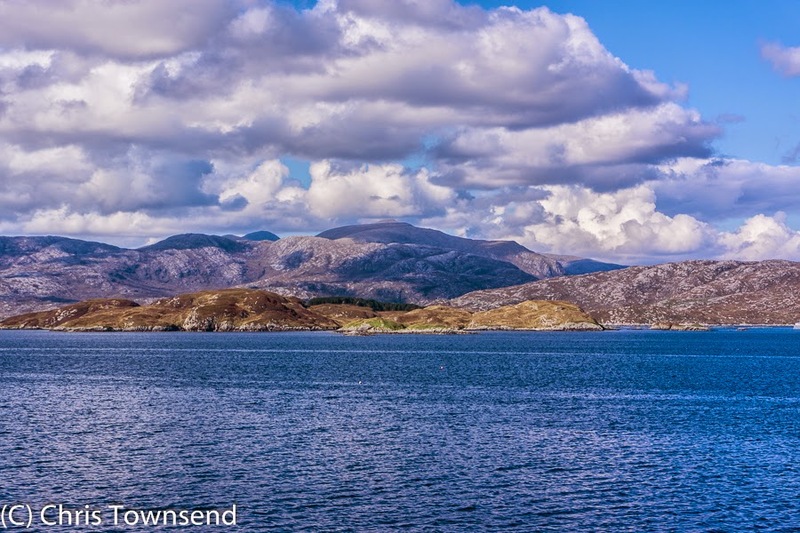 Two days later I’m back on the ferry, watching Harris grow smaller and indistinct. The sky is darker now, with hints of rain and thick clouds tearing themselves apart above. The sea is darker too, steel grey rather than blue. 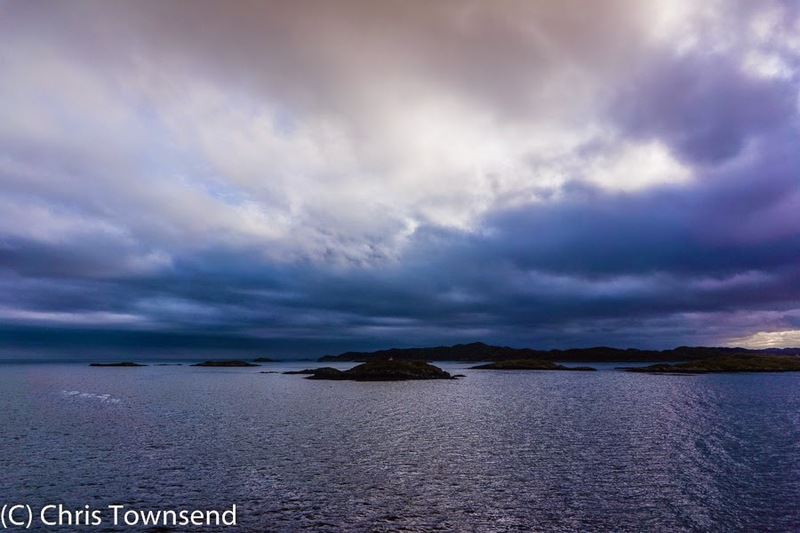 Distant islands – or is that the mainland? – are thin silhouettes between sea and sky, hazy and other worldly. We could be sailing into another dimension. The birds are harder to see, dark shapes appearing in and out of the big waves. 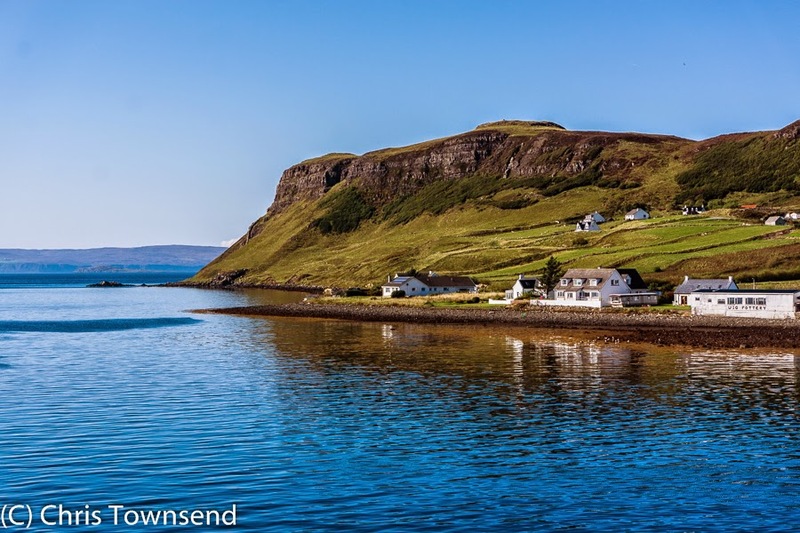 Then the headland appears and Uig is in sight. Life returns to normal. 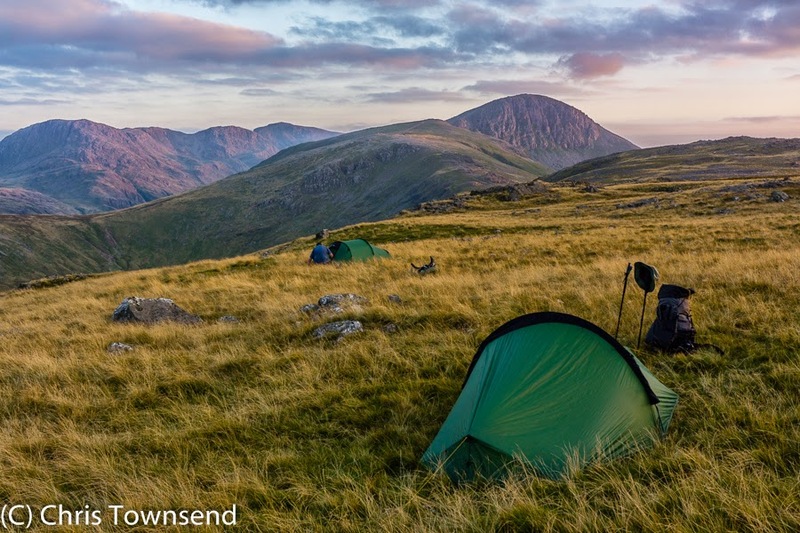 The October issue of The Great Outdoors is out now. 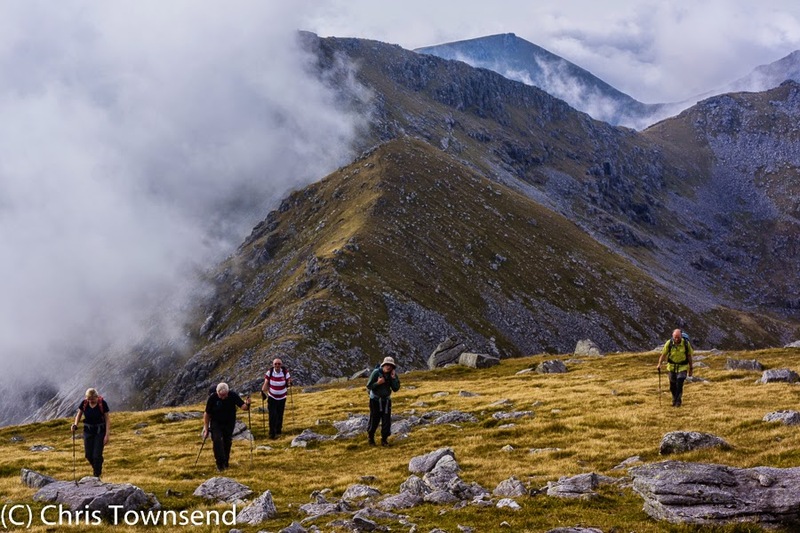 This is the TGO Challenge issue with reports from this year's event and the application form for next year's. If you want to take part buy a copy now! 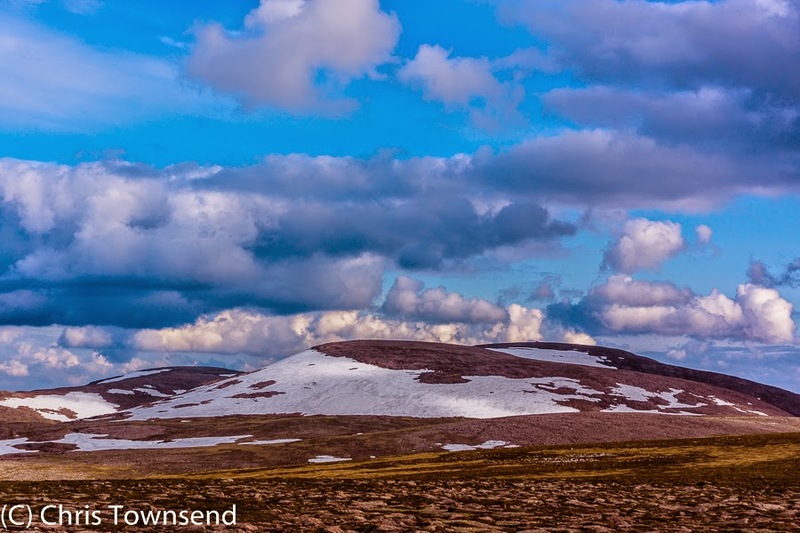 For those for whom two weeks is rather too long a time for the Scottish hills - for whatever reason - this issue has a big feature on weekend trips.In the lead item I cover the round of the five 4,000-foot peaks in the Cairngorms. I also describe the circuit of Glen Tilt and Beinn A'Ghlo plus the walk from Fort William to Corrour. 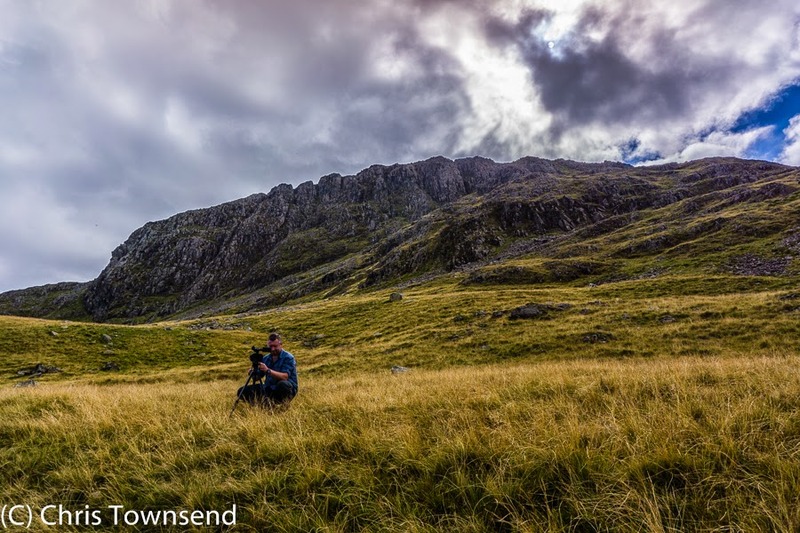 David Lintern describes the Arrochar Alps plus Ben Lawers and the Tarmachan Ridge while Max Landsberg describes Ben Nevis and the Mamores, the Glen Shiel Ridges and Knoydart's Munros. Over on the gear pages I review 16 synthetic insulated jackets, clothing that will be useful soon as we head into chillier days. Something else that will be needed more soon is a headlamp (though I carry one year round) and Daniel Neilson reviews 13 models. My review of the new Inov-8 Race Ultra 290 shoes also appears. Continuing the series on how gear is made and tested James Reader visits Gore-Tex in Southern Germany to see how footwear is assessed for waterproofness. 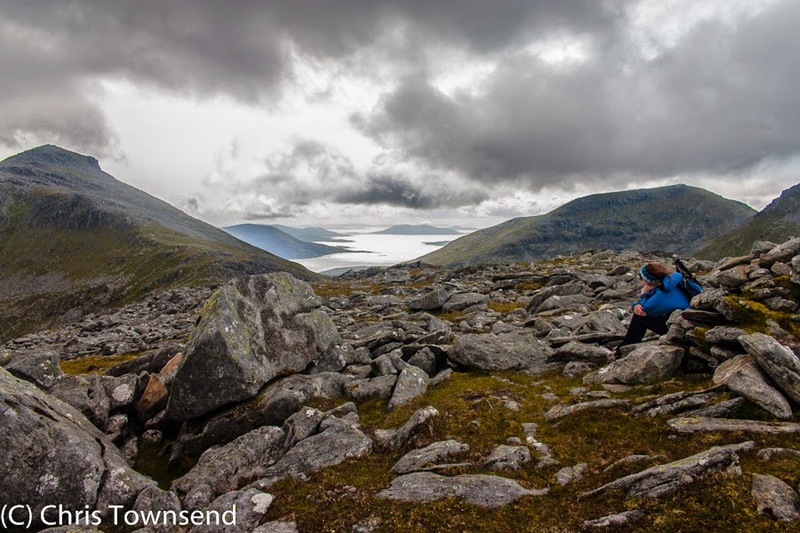 My backpacking column is a little different this month as it covers indoor activities - three plays about the outdoors that I saw at the Edinburgh Festival Fringe in August. 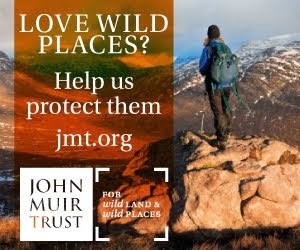 In the Hill Skills section I give some tips on stream crossings where there are no bridges or they've been destroyed by floods, as several were in the Cairngorms last month. Also in the Hill Skills pages Glenmore Lodge instructor Phil Sanderson gives advice on how to keep safe and warm if you're stuck in one place in the hills for several hours or more. There's also advice on deer stalking in the Scottish Highlands and estimating how far you've walked. 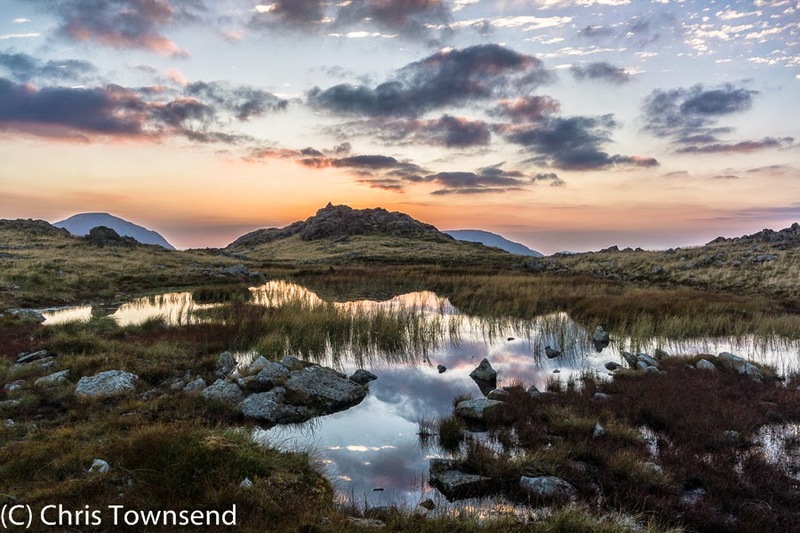 Elsewhere in this issue are two impressive opening spreads - a misty, atmospheric shot of Loughrigg Tarn from Loughrigg Fell by Stuart Holmes and a sunrise shot of Ben Nevis and the Carn Mor Dearg Arete by John Parminter; an interview with Lorraine McCall about her continuous round of the Corbetts; photographer Mark Gilligan on his favourite Lake District waterfalls; John Manning on the Lyke Wake Walk; and ten overseas treks ranging from the Himalayas to the Canadian Rockies. 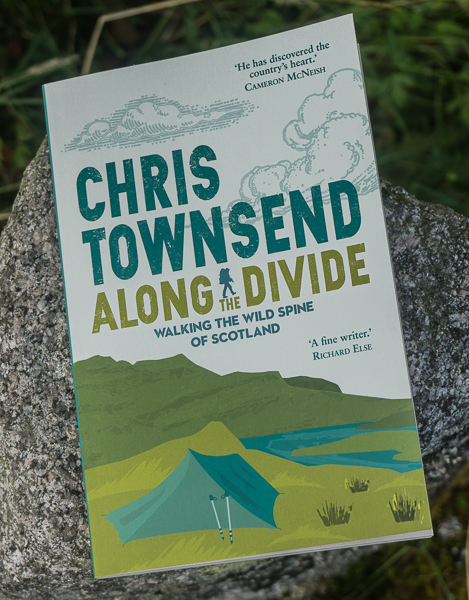 In their monthly columns Carey Davies compares the British hills with the Alps, Roger Smith argues for more National Parks in Scotland (hear ,hear!) and Jim Perrin praises Ida Gandy's An Idler on the Shropshire Borders (a book I have to admit I'd never heard of before). 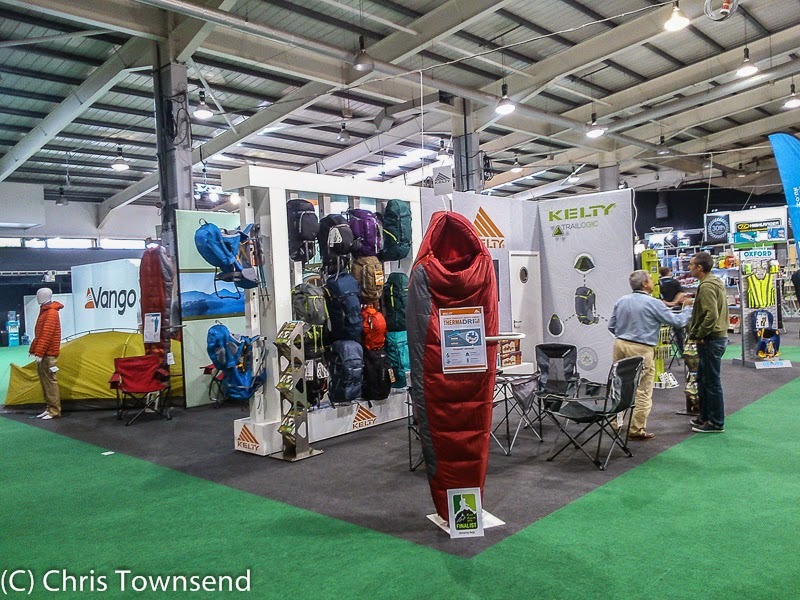 Last week I spent a few days wandering round the Outdoor Trade Show in Stoneleigh in Warwickshire (furthest south I've been this year) looking at gear whilst outside the sun blazed down. Yes, I'd rather have been in the hills but there was quite a bit of interesting stuff that I'm looking forward to trying. 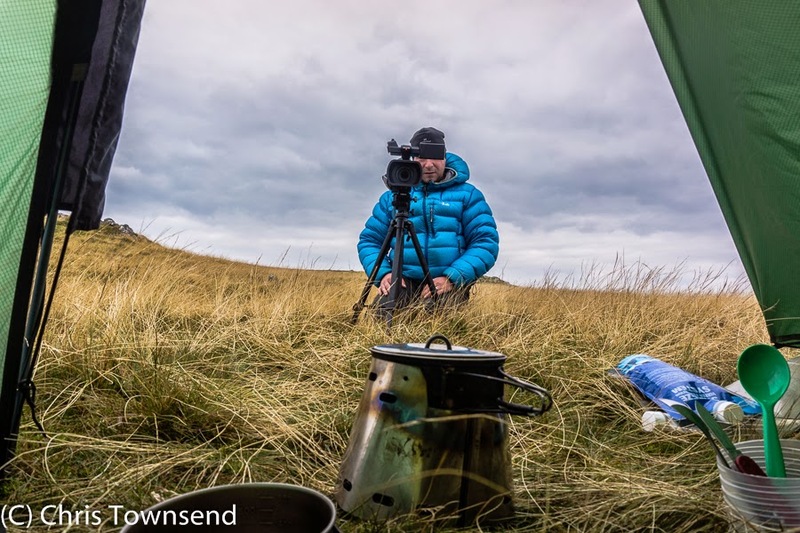 I've done a round-up of the gear that most caught my attention for The Great Outdoors (I was there on the magazine's behalf) which you can read here. It includes brands like Force Ten, MSR, Primus, Therm-A-Rest, Primaloft and Sea-to-Summit and items including packs, sleeping mats, stove fuel and insulation. 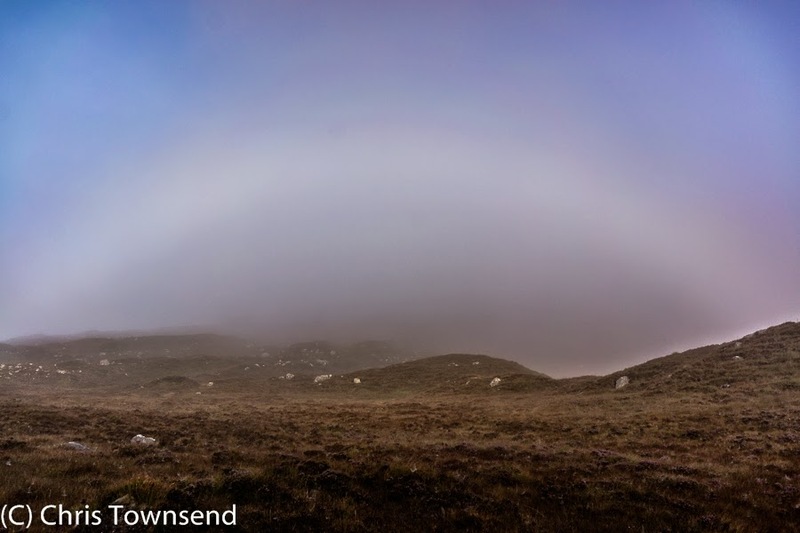 Next week, whilst a rather momentous decision is being made in Scotland, I'll be on the Isle of Harris at the Harris Mountain Festival. 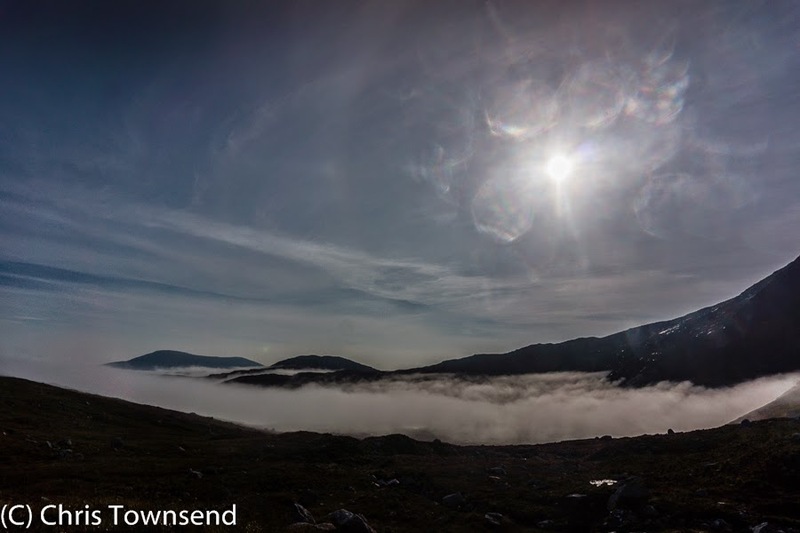 On the 17th I'll be introducing The Cairngorms In Winter film and answering questions afterwards. 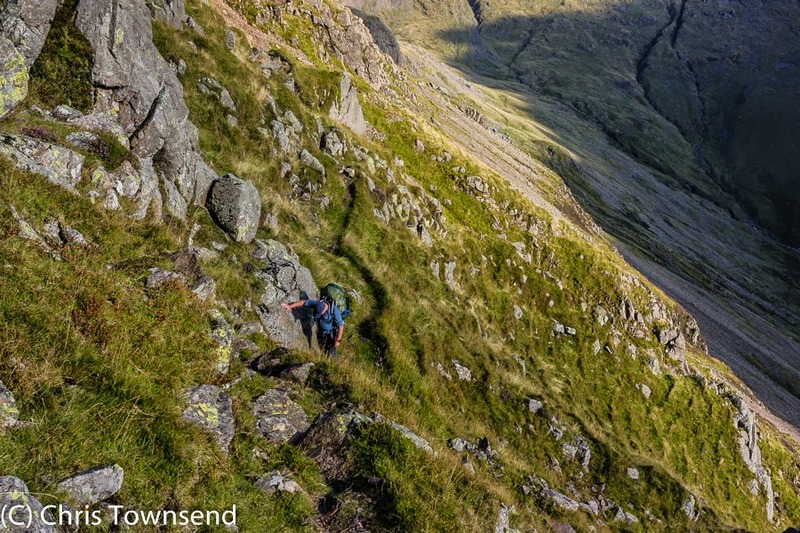 (Terry Abraham's other full length film Life of A Mountain: Scafell Pike is also being shown, on the 16th). 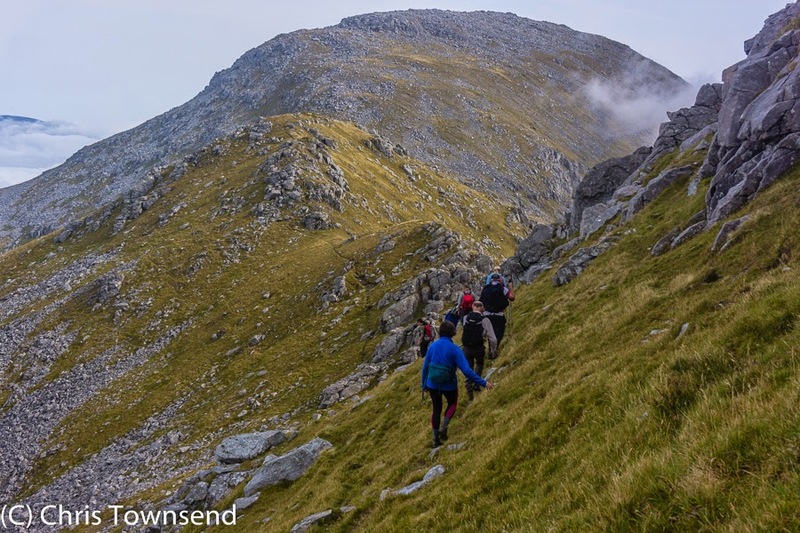 On the 18th, the day of the Scottish Independence Referendum, I'll be walking the Clisham Horseshoe with a group from the festival. 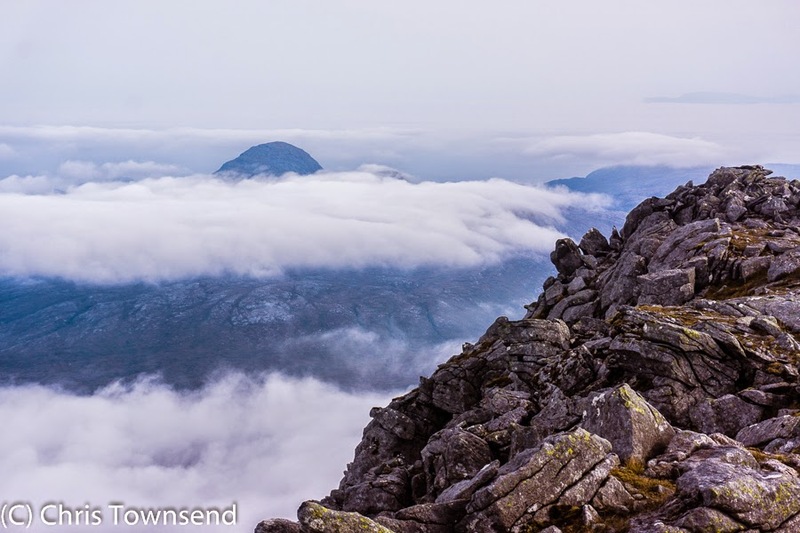 This is a wonderful steep and rocky circuit of several hills with superb views of hills, lochs and ocean. There's much more on at the Festival - walks, hill race, raft race, kayaking, hills skills training, talks, photo workshops and more. 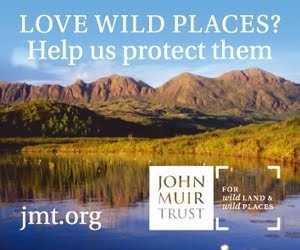 It's well worth a visit!